Many like-minded people sent articles to author. Author could not publish all of them. Here author shows deep acknowledgement to those people. This journal is published from the World Government Institute to promote the movement to establish the World Government. So this journal is concerned with everything related to the world government movement. The first edition Voice for World Government - 1999 was published in 1999 and this is a second edition. This journal is published in English and Japanese and published on the web site of World Government Institute and World Party of which URL's are available below. World Government Institute is an institute to establish the World Government. World Party is an international party to establish the World Government. So to speak, World Government Institute is a discussion and theory section and Word Party is an action section of world government movement. On the other hand, World Citizen Party Network is a network of individuals and groups that aim to establish the World Government by the help of political party. Further information on these organizations is available in the following chapters. Main purpose of this journal is to diffuse the idea and activity of these organizations. But at the same time, this journal introduces other organizations and their activity. Author does not stick to one idea. Contents of each chapter are as follows. In chapter II, world government related situation of present world is introduced. 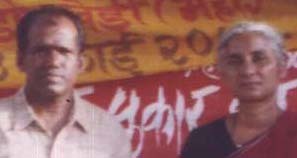 Here, Hague Appeal for Peace held in The Hague, Netherlands in May 1999 and Millennium Forum held at the United Nations Headquarters in May 2000 are reported and some books and a journal are introduced. In Chapter III, situation of World Government Institute, World Party, and World Citizen Party Network are reported. World Government Institute and World Party are composed of branches in various countries. In 2000, 3 branches of World Government Institute and World Party were founded respectively. Each branch of World Party joined the World Citizen Party Network. Recently, some members have begun to propose an international meeting of our organizations. We can decide President, headquarters, statute, etc. by meeting directly. In Chapter IV, information from the World Government Institute is introduced. Here, some world government related movements of NGOs in the present world are reported and some books and a journal are introduced. One is Hague Appeal for Peace held in The Hague, Netherlands in May 1999. 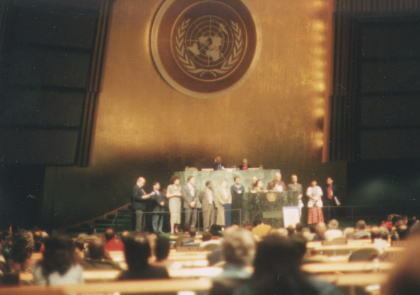 Another is Millennium Forum held at the United Nations Headquarters in May 2000. In the last section, some world government related books and a journal are introduced. "WELCOME to the HAGUE APPEAL for PEACE"
In the Hague Appeal, about 10 thousand people from over 100 countries attended. Over 1,000 groups attended and about 400 programs took place. Over 400 people attended from Japan. Young people showed interesting performances, such as singing or dancing. Hague Appeal was organized by four organizations, World Federalist Movement (WFM), International Association of Lawyers Against Nuclear Arms (IALANA), International Peace Bureau (IPB), and International Physicians for the Prevention for Nuclear War (IPPNW). They published principles as follows. The Hague Appeal agenda demands ten fundamental principles for a just world order. 1. Every Parliament should adopt a resolution prohibiting their government from going to war, like the Japanese article number nine. 2. All States should - unconditionally - accept compulsory jurisdiction of the International Court of Justice. 3. Every Government should ratify the ICC and implement the Landmines Treaty. 4. All states should integrate the New Diplomacy, which is the partnership of governments international organizations and civil society. 5. The world cannot be bystanders to humanitarian crises; every creative diplomatic means possible must be exhausted before resorting to force, then under United Nations authority. 6. Negotiations for a Convention Eliminating Nuclear Weapons should begin immediately. 7. The trade in small arms should be severely restricted. 8. Economic Rights must be taken as seriously as civil rights. 9. Peace education should be compulsory in every school in the world. 10. The plan for the Global Action to Prevent War should become the basis for a peaceful world order. Furthermore, they published "The Hague Agenda for Peace and Justice for the 21st Century" which is composed of 50 agendas. It is available on the web site. Author attended the Hague Appeal. The following is some impressive things. Two members of "Co-Operation for Peace and Unity (CPAU)" visited author. CPAU is an NGO dedicated to the promotion of social justice, development, and peace in Afghanistan. Now it is residing in Pakistan. They gave author an answer for the questionnaire. I added them to the member list of World Government Institute, World Party, and World Citizen Party Network. To my surprise, I found a booth named "World Government Institute." It was run by Mr. Garry Davis. When I opened my web site in May 1997, I sent an E-mail to Mr. Davis writing that I founded the World Government Institute. He gave author a mail. And congratulations on your initiative. I will certainly check out your site and get back to you with my comment. "E-Mails, from 1 May 1997 to 29 July 1997"
I do not want to write things like this. But I must write to avoid the troubles in the future. There was a program protesting the nuclear test. About 50 people attended this program. Also victims of atomic bomb and nuclear test attended. Tahiti is not independent, still ruled by France. As you know, France conducted some nuclear tests at Mururoa. People are allowed to write books on the test. But photos are prohibited. If they publish the photos of victims, they will loose jobs or may be killed. Peace Boat, NGO in Japan, had a program on the nuclear free zone. About 100 people attended. They invited a director of NGO in Japan, an official or officials from North Korea, and a politician and others from South Korea as speakers. They held a session to discuss the idea of Nuclear Free Zone among Japan, South Korea, and North Korea. The delegation from North Korea came to the outside of conference room. But they did not enter the room. We were very sad. This was most impressive. As for author, author distributed about 120 copies of a journal "Voice for World Government - 1999." I did not want to force anything, so I just handed the journal. "About the Millennium Forum Summit for the NGOs - The UN in the 21st Century - We the Peoples"
Over 1,350 people from over 1,000 NGOs in over 100 countries attended the Forum. As for Japan, it seemed to be 70 people. The attendants were selected mainly by members of Conference of Non-Governmental Organization in Consultative Status with ECOSOC (CONGO) and were invited by Secretary General of United Nations Kofi A. Annan. They called the Forum "The First People's Assembly in the United Nations and in History." Author attended the Forum and distributed 300 copies of web site of World Government Institute and World Party at the opening session. Two proposals were written on the copy. They were "1 International Party for World Government" and "2 Mahatma Gandhi Initiative." As for response, a former ambassador of Pakistan talked to author and other people sent author a letter asking to send the journal Voice for World Government. The proposals were as follows. This idea is to establish the World Government by the help of international party. For more detail, please see the description on the World Government Institute and World Party. Mahatma Gandhi led India to independence by the policy of Non-Violence & Disobedience. This policy is applicable to the present situation of world politics. Nuclear states are dominant because of their military power. But non-nuclear states need not rely on the military power. Non-nuclear states can unite and put sanctions against nuclear states. For example, non-nuclear states can put high tariff rate barrier against nuclear states. Or, they can boycott the products from the nuclear states. Like this, non-nuclear states can, by uniting together, insist their opinion against nuclear states. So I named this policy, with the respect for Mahatma Gandhi, "Mahatma Gandhi Initiative." At the Forum, there were following six sub-themes. They were discussed by all attendants at the plenary session and discussed separately at each sub-session. Author attended the sub-theme 6. The following are some impressive things. Opening session was held at the General Assembly Hall. Secretary General said, "You NGOs will become the Super Power." An Executive Director of Third World Network (a representative from Malaysia) said, "We the people will invite the United Nations." From Africa, the voice, which hopes the Eradication of Poverty, was very strong. At present, more than 800 million people among 6 billion in the world are suffering from the malnutrition. About 20 victims of A-bomb came from Japan and appealed the radiation syndrome of A-bomb. When victims' group appeals the radiation syndrome of A-bomb, they usually do not mention the heredity. But if asked privately, they reply like "If it is disclosed, it will become a panic. So it is not disclosed. ", "Heredity appears atavistically. ", "I do not want to say it. But the radiation syndrome is inherited. ", and so on. From the Hague Appeal in Netherlands last year and this Millennium Forum, I got the information from 4 people in victims' group that the radiation syndrome is inherited. I feel deep sympathy for the victims, but there is an issue of atomic power generation also. So it is not the time to keep it in secret. With regard to the strengthening and democratizing the United Nations, there were some proposals. They were such that each country sends representatives from the member of Parliament and the representatives hold an assembly at the United Nations and present the declaration before General Assembly is held, or that nation of each country directly elects the representatives and the representatives hold an assembly at the United Nations, and so on. With regard to the veto of permanent member countries, majority supported the abolition. Or, an idea, which insists to expand the field that cannot be vetoed, was proposed. With regard to World Federation, World Government, World Law, etc., some people proposed them, but the response was not strong. It may be that World Federation Initiative is too far-reaching and there are many issues that we should tackle first. Tobin tax was sometimes mentioned. It is a tax that is levied on, for example, the export of arms and becomes the financial resource of United Nations. With regard to ICC (International Criminal Court), most opinions were affirmative. Tenth ratifying country Iceland was reported during the closing session. ICC will start after 60 countries have ratified it. With regard to globalization, awareness that there will be winners and losers was ordinary. Namely, some people will earn and some people will lose. To be more concrete, it seems that multi-national corporations will earn but poor people will not benefit. At the closing session, Deputy Secretary General came to the General Assembly Hall and officially received the declaration We the Peoples Millennium Forum Declaration and Agenda for Action: Strengthening the United Nations for the 21st Century. The declaration had been submitted to the General Assembly in September 2000. This declaration is available in the web site of Forum. Lastly, the point is how the power of NGOs has been strengthened at this Forum. Bombing against Yugoslavia in 1999 was conducted by NATO without the agreement of United Nations. The most powerful nation in the world did not respect the United Nations. Will such things happen in the future? John C. de V. Roberts. World Citizenship and Mundialism: A Guide to the Building of a World Community. 1999 (London: Praeger) ISBN 0-275-96401-9 (alk. paper). Composed of 163 pages. Author is a Professor of Emeritus of International Studies, New England College. He was a member of the Council of the World Federalist Movement for thirty years chair of the Executive for two. This book introduces not only Mundialism but also world federalist movements comprehensively. Romualdas Ruzgus. Earth is One for All (Translated from Lithuanian by Rita Jaceviciene). 1998 (Kaunas: Naujasis Lankas) ISBN 9986-896-79-7. Composed of 40 Pages. Author was born in Lithuania and is an engineer. He raises urgent problems of ecology, criminality, armament, demography, etc., and proposes non-traditional way of their solution. The Federalist Debate. The Federalist Debate: Papers for Federalist in Europe and the World. Composed of about 65 pages. This journal is published 3 times a year. For the information for subscription, contact The Federalist Debate, Via Schina 26, 10144 Torino, Italy. Phone and Fax +39.011.473.28.43, E-mail: federalist.debate!libero.it . This journal is promoted by the Jeunes Europeens Federalistes (JEF), the Union Europeene des Federalistes (UEF) and the World Federalist Movement (WFM) under the auspices of the Einstein Center for International Studies (CESI). Papers published are concerned with contemporary issues such as World Trade Organization (WTO) or International Criminal Court (ICC) or World Federation, etc. William Greider. One World, Ready or Not: The Manic Logic of Global Capitalism. 1998 (New York: Simon & Schuster) ISBN 0-684-81141-3 0-684-83554-1 (pbk) Composed of 528 pages. He is also an author of Who Will Tell the People and Secrets of the Temple. 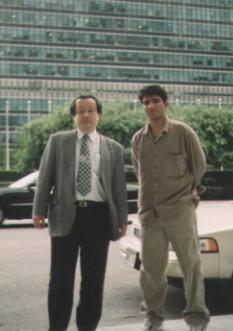 He analyzed world economy and politics comprehensively and showed future trend. Our movement is composed of World Government Institute, World Party, and World Citizen Party Network. Recently, some members have begun to propose an international meeting of our organizations. We can decide President, headquarters, statute, etc. by meeting directly. Here, present situation of each movement is reported. In 2000, World Government Institute Uganda, World Government Institute Pakistan, and World Government Institute USA were founded. Now, Word Government Institute has 15 branches in the world. Situation of each branch is as follows. Mr. Ahmad Fahim Hakim is a coordinator of "Co-operation for Peace and Unity (CPAU)." Author sent him a questionnaire and he replied to it. The answer is published in Voice for World Government - 1999. He and his partner visited author at the Hague Appeal for Peace held in The Hague, Netherlands in May 1999. They agreed to launch a branch and so World Government Institute Afghanistan was added into the branch list. Now they are in the mailing list of World Government Institute and in contact with us. Author sent a questionnaire to Mr. Jean Clautaire - Frerreys Pouele in a NGO "Earth Action - Congo." He sent an answer and agreed to found a branch. His answer is as follows. 1. What are the name, address, E-mail, home page etc. of your organization? 2. What is the basic object of your organization? The Project Earth Action - Congo in brief is a Non-Governmental Organization (NGO). 3. How is the structure of organization? Please write the number of staffs. It comprises all members and it is held once each five years, it has the capacity upon all problems related to the management and the functioning of the organization. It has been implemented by a general assembly among apt members, strong and vote-takers of organization and put in effect the decisions of assembly. It is composed of 7 elected members during two years renewable. It's a permanent organ of coordination for the organization established by the board of the Directors. It deals with administration, daily problems. It is run by an Executive Director, Coordinator of activities of the organization and he is a high ranking of the organization. 4. What are your major activities? The Project Earth Action - Congo it has been created in August 1st, 1989. It doesn't deal with political matter in accordance with the agreement signed by the Republic of Congo to a nongovernmental organization in conformity with the laws and rules currently in application and it has N°327/MIS/CAAB/S.P.CAB, December 24, 1996. Volunteer members along with social groups of people, and affiliated members and it is in search to contribute to the fight against poverty either in urban areas or in rural area, to further the implementation of living poorest people. The project Earth Action - Congo makes an effort to fulfill his mission and bring his support to the indigenous in the third world countries especially in Congo (research, action and popular education) in carrying out programs and projects adapted to the area in order to promote a durable socio-economic development for the welfare of the poorest groups. This is why it has the goal to mobilize the public opinion. The Project Earth Action - Congo supports, develops all activities related to the improvement of the standard of living of poorest people and it is functioning to the implementation of strong strategies of community development. The Project Earth Action - Congo puts in effect the projects and programs and provides technical assistance. Because it encourages in fact projects from local initiatives. The project Earth Action - Congo it is established in 9 areas of the country. The Project earth Action - Congo, one of his objectives is to work for the maintenance of peace, security and progress. It has the duty to study on the issue related to the topic of Hague Appeal for peace in 1999 upon the peace in general, especially in the Republic of Congo. This is why it has obligation to work out solutions to the disasters from origin as concerning men, women and children and of additional suffering. As concerning us we think the solutions mentioned above can help to restore a stable and maintain a durable assistance to the development. We should teach to the sovereign people the rule of transparence, leadership in democracy and upon the culture of the peace and the right of experience human being through exchange of information. Training at school in quarters, broadcasting on television and radio, seminars and workshop. In our mind we should kick out the war. Democracy in Africa, especially in Congo - Brazzaville should be supported by the program and the project human development and durable which aims assistance of people for the improvement of their standard of living in respect of human rights and institutions. Research or dialogue and consensus (process of resolution and peaceful prevention of conflict in order to build the peace) should be encouraged to break the bridge, to cancel misunderstanding. In general, this will permit to change the process against army conflict in Africa. Cancellation of guns in order to secure the people. Our mission is to support the Appeal of Hague for the peace and raising the defense of peace, this is due thanks to popular education considered in broad sense that we can build the peace in the mind of men, women and children. So, it's important to study a process guns of a strong strategy and to remove guns from Africa to civilians especially to the young men involved in army conflict and to propose a mechanic of compensation (created of activities on global disarmament conflict, and develop a new way on culture of peace for 21st century). The Project Earth Action - Congo think about " gun against unemployment " if this suggestions draw up attention of international community we're at the disposal to discuss the issue an explanatory document. We should all of us to investigate in the restoration of durable peace and the right of being taken in consideration while taking in account of the others. Our concern is the apprenticeship in our family, quarters at the place of work, local, national and international it is sometimes the best way to live together in preserving diversity in socio-cultural, because the peace strengthen, the countries, to maintain order among people and bring welfare of community. World Government Institute India was founded by Dr. Leo Rebello in June 1999. Dr. Rebello sometimes sends us reports on the HIV/AIDS. The following is cited from his mail. Dr. Rebello's ambition in life is to see the World Government happens. Ideally he would like to be the First World President. He is presently working to set up the world's first AIDS/Cancer Hospital, where patients will be treated with traditional and natural healing modalities, and is requesting help from all concerned. 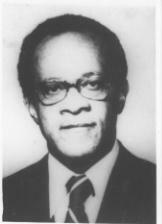 World Government Institute Jamaica has one staff, Dr. Roy E. Johnstone. He is, at the same time, the President of Caribbean Action Group and in important position of many organizations. A part of his letter, dated 24 October 1999, is cited below. 1) To study the backgrounds of the social, economic and political systems of the West Indian islands and territories in order to make proposals to improve the systems. 2) To play a supportive and complementary role to certain bodies by appropriate training and expertise (through workshops). 3) To assist 'Caribbean Governments' in their specific tasks through research and action in the fields of national and regional governments. 4) To start 'A Joint West Indian Management Council (Public Private and Trade Unions)' to encourage participation in the various West Indian islands and territories. 5) To build up "A Caribbean Action Group Library" (which has been done). 6) To obtain or establish "A Voluntary Caribbean Fund" which can be collected by Caribbean colleagues in the various West Indian islands and territories. 7) To perform any other tasks which will be conducive to the development and integration of the whole Caribbean area. 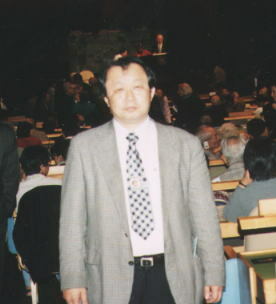 World Government Institute Japan attended the Hague Appeal for Peace held in The Hague, Netherlands in May 1999 and the Millennium Forum held at the United Nations Headquarters in May 2000. They are reported in the previous chapter. World Party Japan conducted an opinion poll, which is reported in the next section for World Party. Rev. 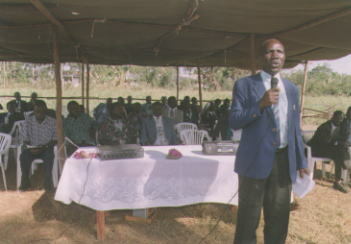 Silvanus Alwanga B. Malaho sent photos of he and his people. For more detail of his activities, see Voice for World Government - 1999. One of the photos is shown below. 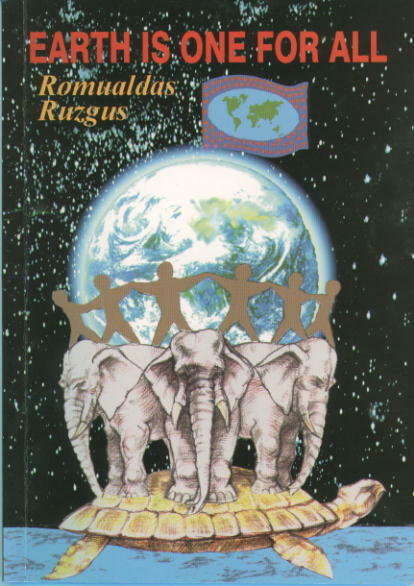 Mr. Romualdas Ruzgus sent a book Earth is One for All (ISBN 9986-896-79-7). This book was introduced in the section for Book Introduction. Dr. Mohammad Amin founded a World Government Institute Pakistan and World Party Pakistan. World Party Pakistan joined the World Citizen Party Network. The following is his message. The Government of World is the solution to remove poverty from the world. It will employ all people of the world, develop whole world and provide peace to all nations of the world. The government of world will utilize all resources of the world equally for all people. It will provide equal right, rules and regulations to all people. It will also provide justice and security all people of the world. The government will be responsible for development of the whole world. The cost of defense will be utilized for removing poverty from the world. It is easy to strength the government of the world by an international currency. This message will convert the people effort from individual thinking to the development of world. The world is a common place of living for the all people of the world. All people are dependent to each other in number of ways. A single person could not do anything in a short period of life. The fruit of effort of past people are enjoying present people. The present people have to make effort for future generations. Every person has many good qualities to produce new thing for other peoples and coming generations. There are many people who want to work for all people of the world but there was not any organization in the world, which could join these efforts into a form. INTERNATIONAL CURRENCY of Government of World will be printed in a lot to fulfill the thirst of currency. They designated Re. Dr. Reward D.M. 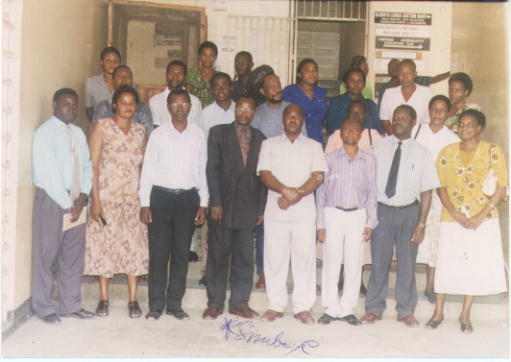 Simbeye as a coordinator and Mr. Beatus B. Teuga as a vice coordinator of World Government Institute Tanzania. Dr. Simfei Dominique Balouki wrote in the E-mail, dated 1 Jul 1999, as follows. I have discovered the World Government Institute by reading the "Voice of World Government", and notes, letters. To succeed such a program, I think that we should adopt many strategies at the same time. 1 - Open national offices in order to have cooperation with associations, NGOs and political parties. 3 - Use the potentialities of individual members by inciting them to produce articles, to do research or publish intellectual works or journals or newsletters. In this case, I would like to publish one of my productions entitled "The Society of tomorrow in the use of world education." It is in French and I would like to have it edited in many languages. It will be my personal contribution in the interest of the WG Institute. I want to do it voluntarily. To finalize those ideas, deeply, would you kindly invite me in Japan or you plan a journey in our continent? It is important to meet you. We have much to say about World Government Institute, World Party and World Federalist Movement. Dr. Balouki founded International Association for Collective Promotion School (ASIEPC), which is a Togolese member of World Citizen Party Network, and appointed author a Vice President. Dr. Wabbi-Leonard in "Buddu Social Development Association" gave author a letter, dated 10 April 2000, a part of which is shown as follows. Greeting to you from Uganda East Africa. We were glad to get in touch with you when we visited Tanzania two weeks ago and we were able to get your address from peace makers there and we find it very/important to be affiliated to you. By way of introduction we are known as BUDDU SOCIAL DEVELOPMENT ASSOCIATION-BUSODA a local registered voluntary NGO. We would be glad once you affiliate us to your institute and as well send us your 1st Edition of Voice for World Government Publications made by your institute. We invite you to come and visit us here in Uganda. After receiving a reply from World Government Institute Japan, they founded World Government Institute Uganda, World Party Uganda, and the World Party Uganda joined the World Citizen Party Network. Mr. Manav Bahl founded Word Government Institute USA and World Party USA. World Party USA joined World Citizen Party Network. He is an Indian student residing in USA. and Mr. Manav Bahl (taller). Author sent a questionnaire for Hague Appeal for Peace and Ms. Jane Sibanda replied to it. The following is her answer. Opedisa advocates for Peace and justice in the regions of Southern Africa, Acts as a voice for the disarmament process in the region. Establish a peace and disarmament resource Centre. Aims to teach non-violence and conflict resolution to all the people involved in working for change. Organizes Seminars Conferences and workshops for peace and non-violence. Being very sad, her husband passed away. So she must take care of her child or children for herself. Author sent some IRC's (International Reply Coupon). I would like readers to send her something to help her. In 2000, World Party Uganda, World Party Pakistan, and World Party USA were founded. Now, Word Party has 15 branches in the world. Situation of World Party Japan is as follows. World Party Japan has conducted an opinion poll. This opinion poll was conducted by asking people on the street for cooperation. The people were all strangers. The methods such as visiting home or making a phone call were not adopted in order to get the true opinion. The questionnaire was handed to answerers and the answerers wrote the answers as they like. Period was February - March 2000 and places were Ueno Park, Sumida Park, Yoyogi Park, Shinjuku Park, Ikebukuro, Sumida River, Shinagawa, Tama River, Omotesando, Hibiya Park, Suidobashi, etc. which are all in Tokyo. Author asked about 800 people and got cooperation from 42 people. The number 42 cannot be said plenty. But it seemed that the result would not change largely even if the number of samples were increased. So the poll was finished. Incidentally, some answerers chose more than one answer for one question. The result is as follows. 1. What is the gender? 4. How do you think about the US-Japan Security Treaty? 5. What political system of Japan do you support? 6. How do you think about the financial debt which has amounted to 130% of GDP (Gross Domestic Product)? 7. How do you think about the abduction of Japanese by North Korea? 8. How do you think about the unification of Korean Peninsula? 9. What political system of the world do you support? 10. What policy in Japan or the world do you expect? Or, please write your opinion if any. A policy without killing people as far as possible. Cooperation in a true sense with Taiwan, Philippine, South Korea, etc. should be made. Creating a world without the disparity in wealth and full of joy. Are politicians really working for human beings and the world? A system in which the world can coexist. Reducing the disparity in wealth among countries as far as possible. In 2000, World Party Uganda, World Party Pakistan, and World Party USA joined the World Citizen Party Network (WCPN). Now WCPN has 16 members. Members of WCPN are mostly same as those of World Government Institute and World Party except for Starlife Global & Cosmic Services. This organization belongs to WCPN only. Mr. Hans Starlife, director of Starlife Global & Cosmic Services, is a proposer of WCPN. Mr. Hans Starlife, proposer of WCPN, is a director of Starlife Global & Cosmic Services, which is mentioned above. In E-mail dated June 1999, he sent author a proposal as follows. a) A cross-cultural global identity, various manifestations of global unity and better understanding of our planetary inter-dependence and inter-connectedness. b) Worldwide cooperation, coordination and unity in matters of global and all-human concern, such as planetary peace and environmental care, human rights and peaceful cooperation in space. c) An improvement of our ability to treat each other with respect and empathy, honoring our equal rights and responsibilities as World Citizens and members of the human civilization, regardless of who we are and where we come from. d) A long-range strategy for a positive and conscious evolution of the human civilization, with further exploration of our potentials as a united civilization in general. 2. To promote and develop a democratic, global management for planet Earth with a major, direct influence and participation of its peoples. This global management should have as broad base as possible, and can constitute a reformed United Nations, a global people's forum or assembly, a world parliament, a world government and/or other institutions. Members of this Network are free to promote any such alternative of their choice, but should have a tolerant and constructive attitude toward members in favour of different alternatives, realizing the overall goals we share. 3. To encourage and assist in the formation of political World Citizen parties in the countries of the world, to support existing parties and politicians sharing our objectives, to assist these both new and old parties in their continuing work, and to coordinate their activities and our shared objectives on a global level. These parties shall be members of the World Citizen Party Network, and shall meet any other requirements which may be decided upon consensus between its parties and coordinators. Headquarters and President have not been decided yet. No branch has paid up. Headquarters and President have not been decided yet. No member has paid up. Member: 80 (Not paid up) There is a connection with the 14 Caribbean countries and territories. Movement of United World State "JUZEVA"
Regional Organization is formed by 30 town and district branches. Regional Union consists of 29 thousand veterans and retired officers and more than 40 thousand of their dependants. There is Regional Council - 40 members, Presidium of the Council - 11. Author has a plan to revise this journal periodically and send it to the world government related organizations in the world. Furthermore, author is thinking of sending fund to branches in developing countries. Here, author requests a donation for the cost of this project. We can, with fund, employ staffs to send the journal to readers in the world. Please send donation to the bank account below. World Party Japan has a plan to send candidates to the election of National Diet of Japan and to send fund to branches in developing countries. World Party Japan also requests the donation. Please send fund to the bank account below. After raising fund for election, World Party Japan will send the candidates to election. Both for World Government Institute and World Party, revenue and expenditure will be reported on the web site and in this journal. The name of donators will be published as far as the donators do not refuse it. Also World Party Japan is inviting party members and volunteer staffs. World Citizen Party Network is also inviting people to join us. International cooperation is the source of power of World Party and World Citizen Party Network. So far, World Government Institute and World Party have not received donation.